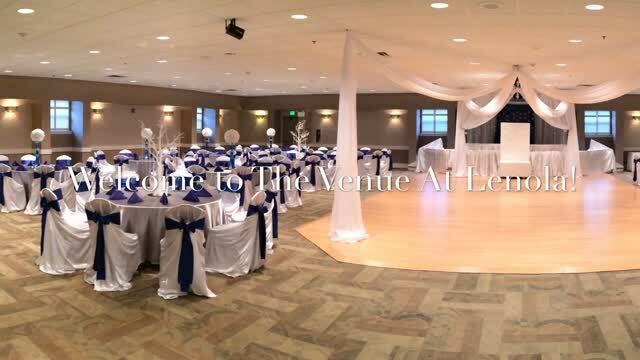 Welcome to The Venue At Lenola! an indoor wedding, and special event site, available to rent all year round. What ever you are looking to celebrate, you can celebrate it here. We are home to many different celebrations. Whether its a Wedding, Anniversary, Birthday, Religious mile stone, or a Fundraiser, your options are endless! Our client list is endless as well. It's not limited to private parties. Our lists also includes, large corporate business that come back year after year to have holiday parties, annual recognitions, sports committees that celebrate seasonal achievements, School PTA's to hold annual fund raisers to support their children's education. Again, your options are endless! Please take a few minutes to look over our site. When you explore you will be able to look up your proposed date to see if it is available, view great pictures of affairs and our facility, and email us to schedule a showing! Thank you for visiting, and we hope to have you as our next client.